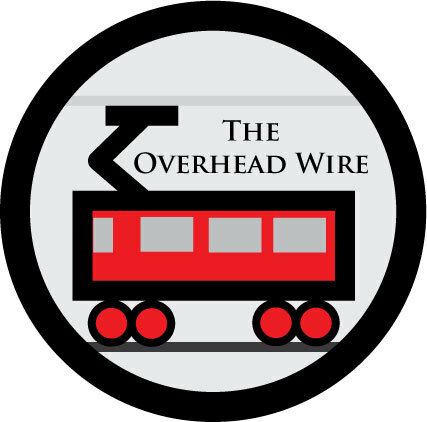 The Overhead Wire: Gavin's Understanding "Out of Context"
Gavin's Understanding "Out of Context"
When asked what he thinks about the fact that Muni riders are paying more than drivers in this budget (estimates say the ratio is 4 to 1), Newsom responded that's only true "when the budget is taken out of context" and argued that over the years "it's been fairly balanced." This report from the Federal Transit Administration shows some interesting information which I'll use in a coming blog entry. With that in mind I’ve posted it here. Portland is at #7 in this list, which amounts to TriMet basically. The really shocking thing though, is the massive drop off after the top 5. I also find it somewhat shocking how much lower San Francisco is than New York in trips per capita. I guess I'm not shocked. Most of the neighborhoods in San Francisco are served by buses with no real rapid transit spine. If we had a real Metro system such as Vienna or Barcelona has, we'd likely have ridiculously high ridership and less surface congestion for buses. I'd bet about a million people would take the subway every day if we had a real system. Not bad for a population of 700,000K give or take a few folks. Not to mention that would be virtually carbon free movement because of the Hydro power. Sorry I got off on a bit of a tangent there but this is all to say that giving Muni riders a fare hike without asking drivers to share the burden of a tough budget time is highly autocentric (4x) and shows really how deep into the Emerald Aristocracy these folks go. The problem is that Gavin doesn't take Muni, so why should he care? Unfortunately, that's how it usually works. I have read Streetsbog, and I get this impression that it's a thinly disguised pro-auto blog. Any blgo that praises the LACMTA orange line has to be. Sounding like Bill O'Reilly then? When he's called out on racism, he says he's "taken out of context". He claims he's the victim of an vast (and evil) left wing conspiracy. Buses are not real rapid transit. Even if rail means "forced transfers", rail is true rapid transit. But let's not turn this into a discussion over whether or not buses are better than trains. Gavin Newsom has no desire in getting rail on Geary, but again, this isn't supposed to be the topic of "mode wars" here. I practically choked when he said it's been fair over the long run. If by fair, he meant how this country in general has suffered a massive disinvestment from urban areas and into suburbs ever since World War II, then I mean, yeah, I guess, it's been pretty fair I must say. "The problem is that Gavin doesn't take Muni, so why should he care?" You said it, my friend. We can has leadership? The point about power being clean because it is hydropower is wrong. California optimizes hydropower use over the summer so the entire supply is used; any additional electricity comes from burning gas. Cleaner than coal and no long nuclear waste, but still not perfectly clean. Total revenues from parking meters, garages, and citations are about equal to total revenues from transit fare collection. That's the context, and that's the balance that SFMTA wishes to maintain. I should have said "Gavin Newsom apparently has no desire..." in my earlier comment. Does he like driving his car, for some reason I don't know? Is he so sure that propping up highways is "fair and balanced"?